We welcome our youth and adults to participate in the Ultra-Accessible 1K for those with or without physical or cognitive special needs. Visit our FAQ's page by clicking HERE for more frequently asked questions on how to participate and what to expect during your experience with us, especially in regards to the Ultra Accessible Run, Walk & Roll 1K. The FAQ's provide answers and instructions for parents and guardians that will be helpful. If a special needs participant needs specific attention, we ask that parents/guardians communicate with us prior to the event. • A fun & exciting experience! Parents, guardians or chaperones may run the event with their kids or special needs participants as long as the registered/paid ‘entrant’ has an Official race number. To run with your entrant, you can pick up an official 'Race Buddy' bib which MUST be worn to accompany your participant on the course and into the Alamodome. NO backpacks, purses or bags of any kind are allowed to be carried during the run into the Alamodome. If your registered participant requires a special support device in a backpack or similar carrying device, this must be pre-approved and cleared with Race officials prior to the start of the event on race morning. Waivers for individuals running as a participant’s ‘Race Buddy’ are required to be signed and will be available on site in the race packet pick up area. Check back closer to the event weekend for a diagram of the Ultra Accessible Run, Walk & Roll 1K starting area. Kids have always had a great time at the Alamo Run Fest too - even if we’re not timing them. The Kids Classic has been an ultra-fun run for kids. but we decided kids shouldn't be the only ones to have fun, so we expanded it in 2017 to make it 'ultra-accessible' and open to kids and adults alike to enjoy in the fun of this 1K, non-competitive event. We have multiple 'waves' of starts, broken up by age divisions, so that everyone can have a safe and fun 'run, walk or roll'! The Ultra Accessible Run, Walk and Roll 1K is THE 'Main' event on Saturday, finishing INSIDE the Alamodome at center floor, adjacent to the Expo!!! 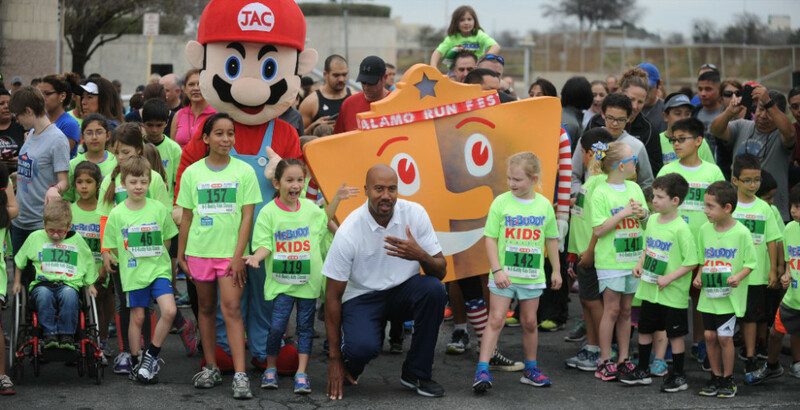 Already one of the most 'all inclusive' running events in Texas, the event expanded in 2017 to invite participants of all ages with physical and/or intellectual challenges to join in on this great fitness 'happening'. 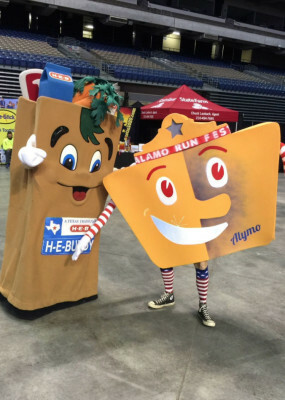 Our focus is on ALL participants having fun and getting to experience the Finish Line inside the Alamodome, while promoting healthy lifestyles to our children and special needs populations as a central mission of the Alamo Run Fest! Be sure to look up on the big video walls to see if that's your friend or child's excited smile as they cross the red-carpet finish line! FinisherPix will be at Ultra Accessible Run, Walk & Roll to capture your race memories. This event limited to the first 1,000 entrants to register.